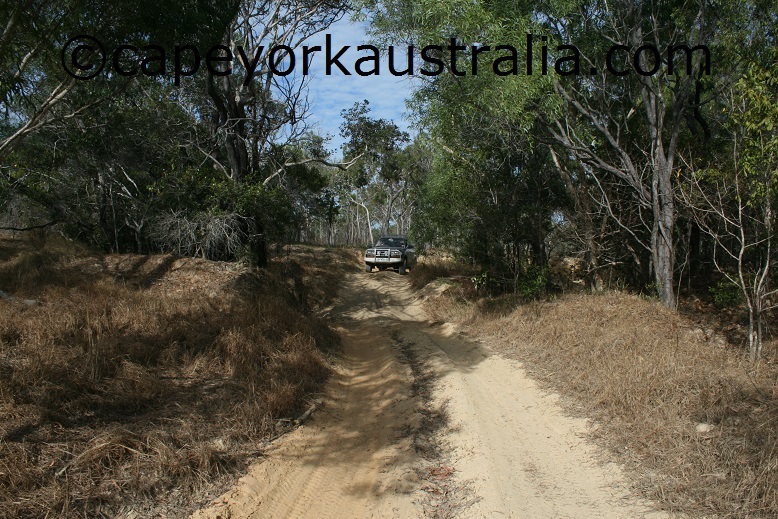 The so-called Starcke Wakooka Track is a narrow 4WD track. 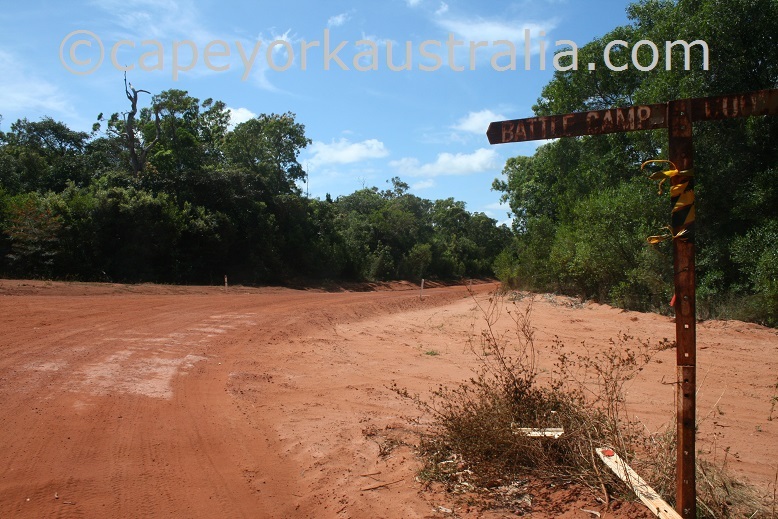 It starts at a turnoff not far north of Isabella Falls on Battlecamp Road and ends in Wakooka. 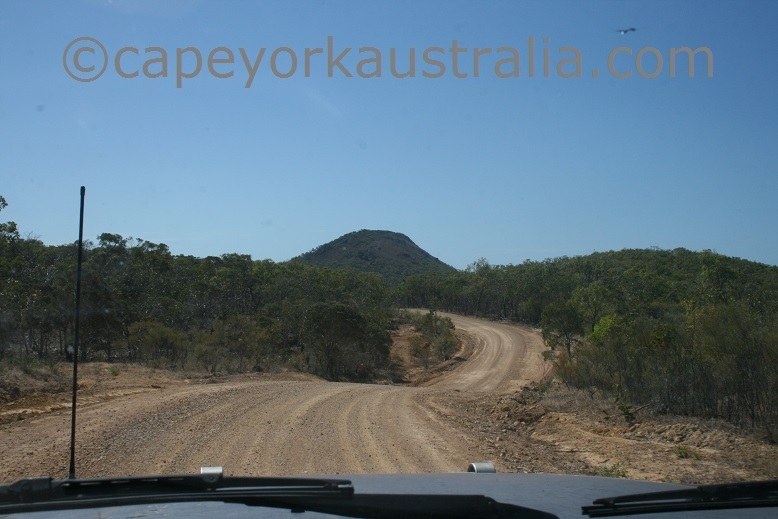 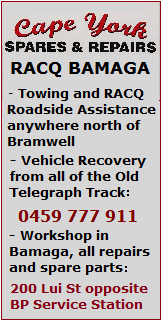 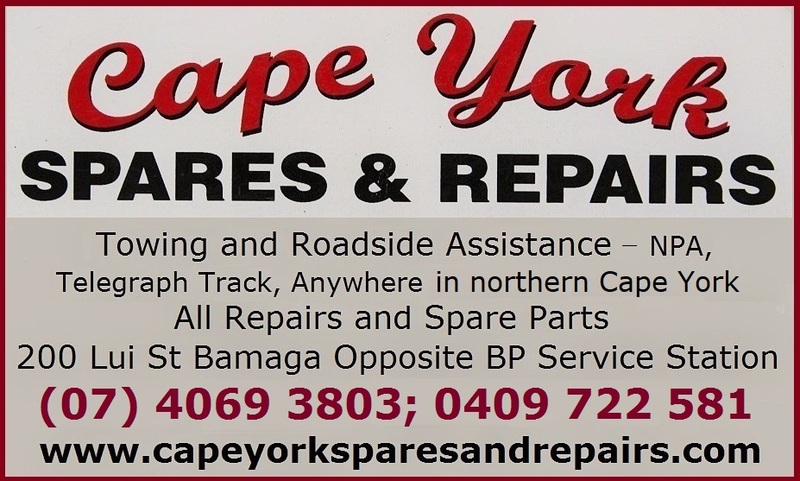 It is a great four wheel drive track and if you are on your way to Cape Melville, this is the slower but more fun alternative to the Lakefield - Cape Melville Road (which comes to Wakooka and Cape Melville from the west). 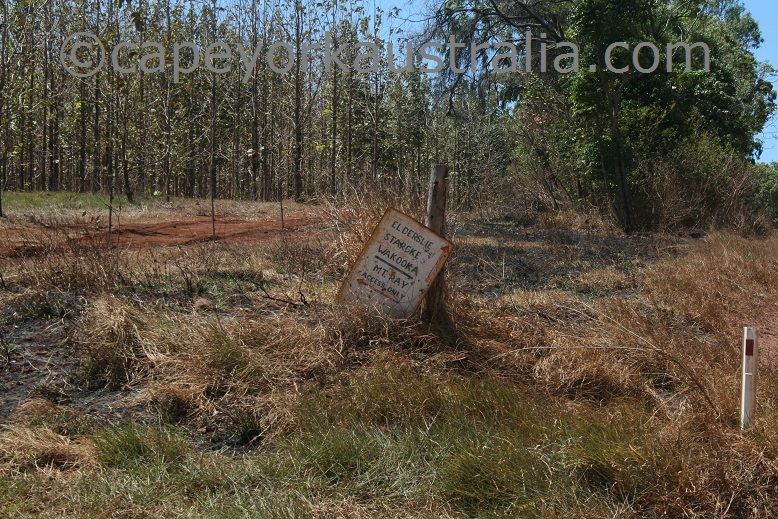 The track may be boggy in the early Dry and definitely requires a 4WD vehicle. 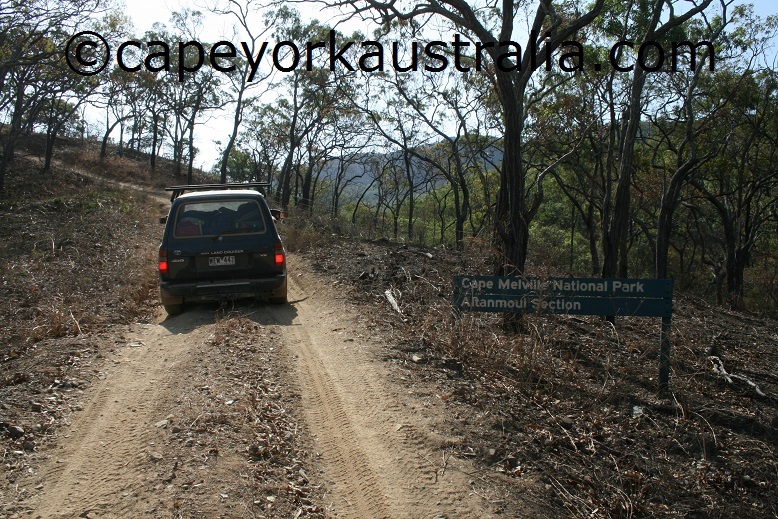 The track turns off Battlecamp Road after Isabella Falls and is first a reasonable gravel road. 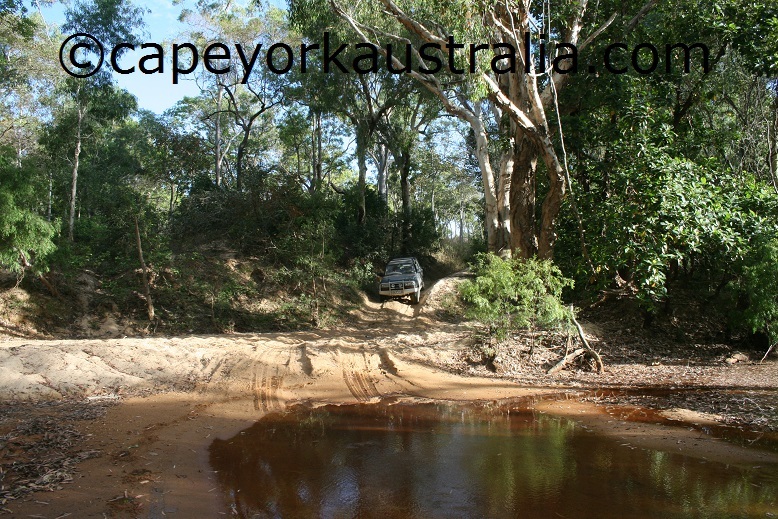 .. then crosses McIvor River and passes by the small Mt Webb National Park and the turnoff to Morgans Landing, (where you can continue to the beach and Cape Flattery). 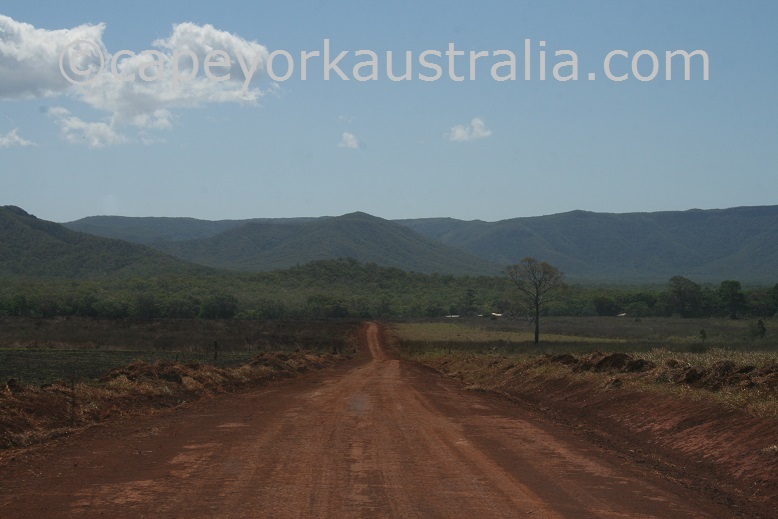 Further north it passes by Starcke Homestead and soon after that the road gets smaller. 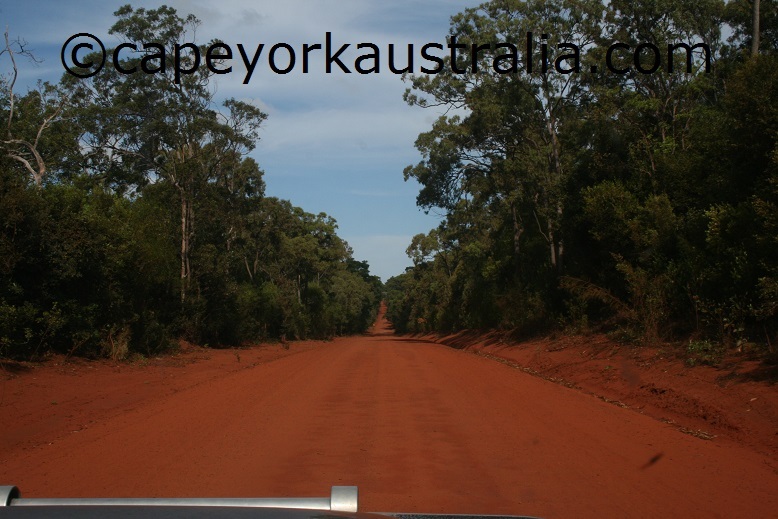 It goes along the eastern border of Starcke National Park, which is not accessible and has no facilities. 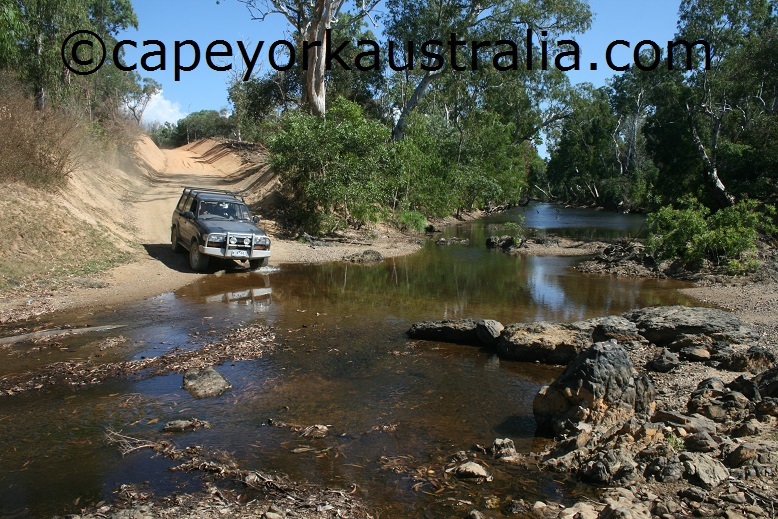 Next the road comes to the beautiful Starcke River. 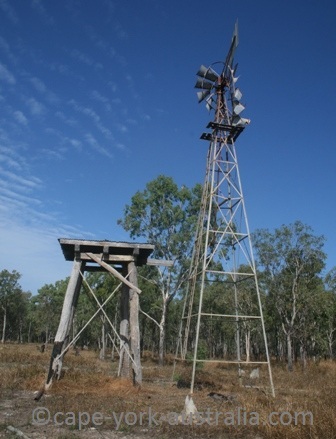 After the river you come to an old outstation, and right after it to an old windmill. 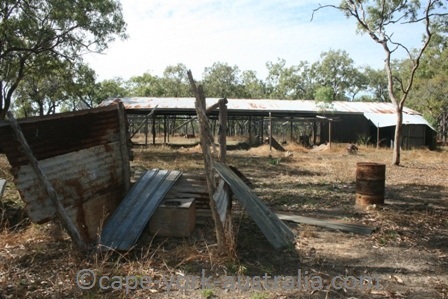 and is sometimes also a bit rugged but nothing too bad. 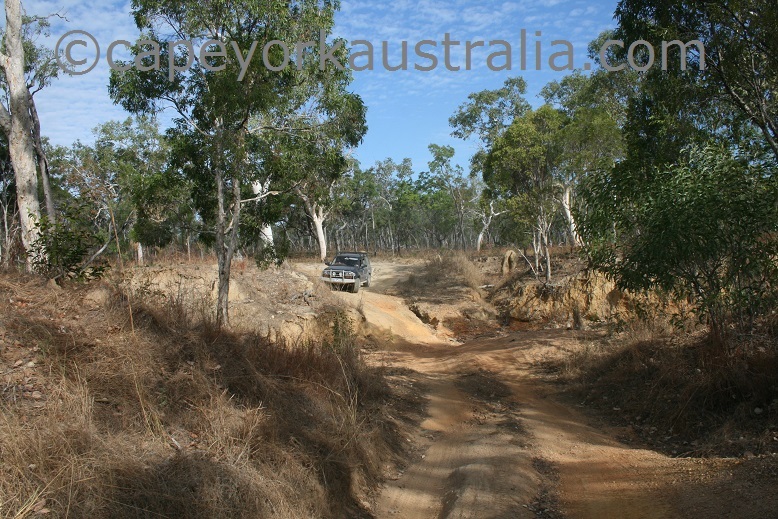 And then it comes to Jeannie River - almost dry towards the end of the Dry Season. 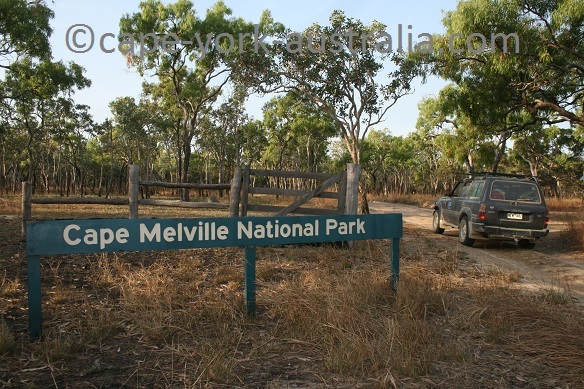 Not long after the river you enter the southern section of Cape Melville National Park. 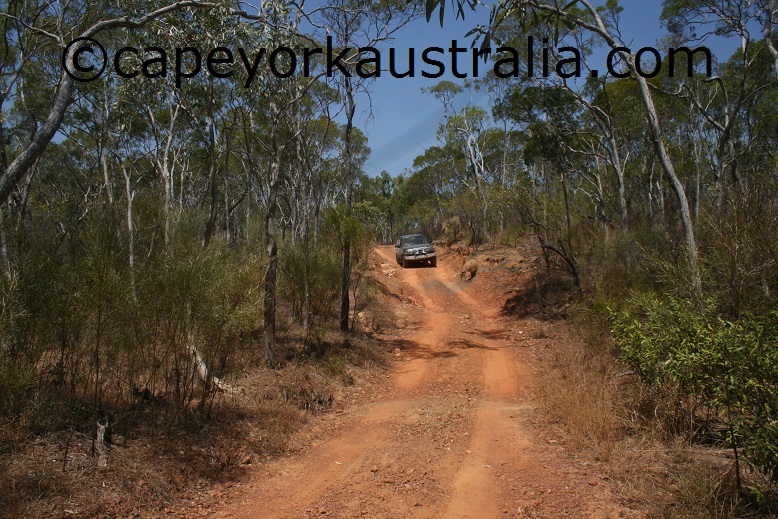 The track through the southern section of Cape Melville National Park. 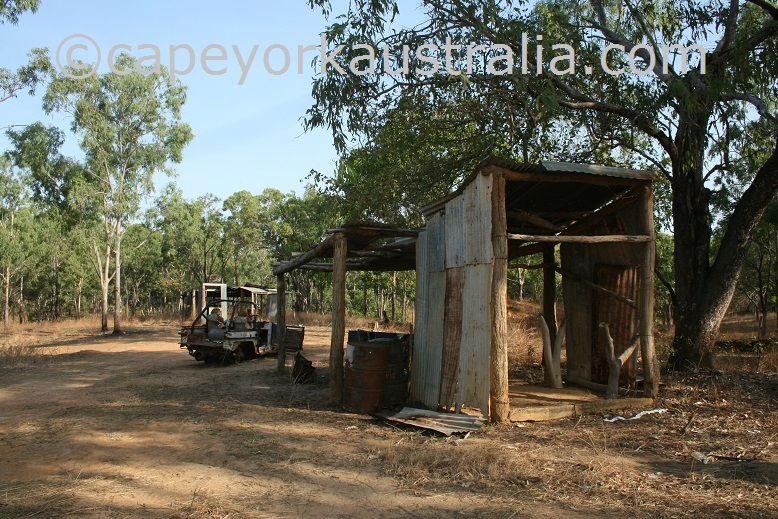 .. until after a bit of a drive and a lagoon with waterbirds, you come to Wakooka.